Unique Extractor Kit features Left Handed Cobalt Drill Bits and Straight-Fluted Extractors to make screw and bolt extraction faster, easier and safer. Left Handed Cobalt Drill Bits create a pilot hole for the extractor and also loosen, or even remove, corroded, stripped-out, or headless threaded fasteners with the momentum of the left-turning bit. Hollow-Ground, Straight-Fluted Extractors provided extra bite in the pilot hole and can be torqued in either direction to loosen a frozen screw or bolt. 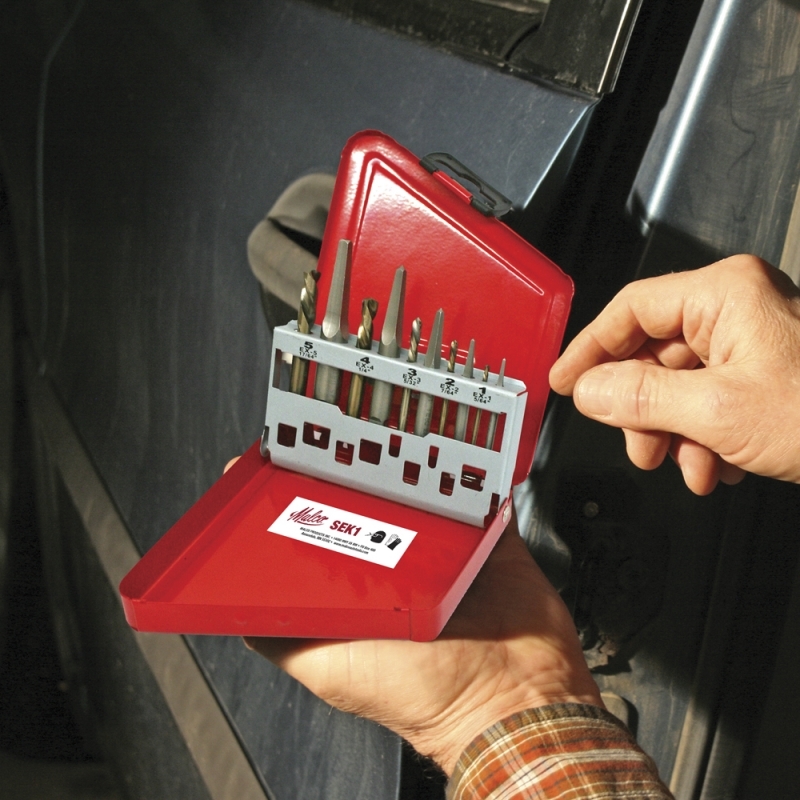 For use with fastener diameters of 1/4” (M3) to 5/8” (M15), this 10-piece kit contains: 5) Hollow-Ground, Straight-Fluted, Extra-Bite Hardened Alloy Steel Extractors and 5) Matched Left Handed Cobalt Drill Bits. Left handed cobalt pilot drills. Kit components also available separately.